Palawan Complete Traveler Guide | The Adventures of AdventuRoj! A Palawan resort guide for the intrepid from top-end luxury and child-friendly family resorts to cheap and cheerful budget digs. Palawan dives, footprints in white sand, banca cruises, lost Japanese and even some preening giraffes. Zest Air (formerly Asian Spirit, tel: [63-2] 855-3333, www.zestair.com.ph) and South East Asian Airlines orSEAIR, (tel: [63-2] 849-0100, www.flyseair.com) fly into Busuanga Island daily from Manila, during the “dry” season (November to April). This is the largest bit of forested real estate and it is at the very heart of the Calamian Islands. Seair also flies from Puerto Princesa, the capital of Palawan, to Busuanga. Air Philippines (tel: [63-2] 855-9000, www.airphils.com) serves Puerto Princesa, connecting it with Manila on a published fare of around P1,293 (US$1 = 44 pesos) and with specials around P793 (Sky Saver) and rock bottom cheap ticket promotions. And the WG&A Superferry (tel: [63-2] 528-7000, www.SuperFerry.com.ph) is another option. For flights from Manila to El Nido at the far north of the long and stretched Palawan Island try Seair or Island Transvoyager Inc (www.islandtransvoyager.com), which flies 19-seater twin-prop Dorniers. Charter a plane if you like and create your own timetable. The flight is around 75 minutes and an informative in-seat map points out your route markers in minutes, highlighting islands and spots of interest. 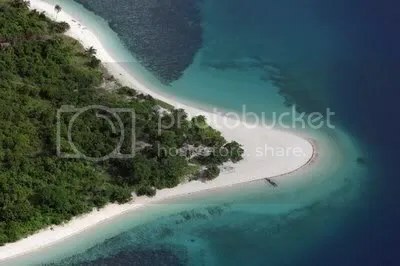 The plane passes Mindoro, Busuanga (Lubang is far to your right and Cuyo several minutes flying time to your left), Culion, and Linapacan, before dipping over Bacuit Bay for an eye-popping touchdown. There are morning and afternoon flights. Pick a seat in the first two rows in front of the propellers to get the best views in this narrow 1-1 seat configuration cabin. Pack economically as there is a 12kg limit on baggage. Flights are also offered from Manila to Taytay for guests heading to the Apulit Island Resort. The rustic El Nido Transvoyager lounge faces the Amanpulo Lounge, serving complimentary drinks and snacks but only closer to flight departure time. Arriving early? Bring along a large book. Or peruse the informative and lively travelife magazine. The Amanpulo Lounge serves refreshments, offers books and games and a shower room. Flights to Amanpulo, also on Dorniers, but serviced by Island Aviation Inc, cost about US$375 for adults and US$200 for children below 12. The baggage allowance is a more lenient 20kg per adult (including carry-on bags). The scheduled charter flights from Manila to Amanpulo take an hour. In Palawan, Island Aviation also offers flights to El Nido, Cuyo and Busuanga. A sprinkling of Palawan luxury resorts, laid back child-friendly family resorts, and budget cottages are to be found along this broad swathe of sea and along the bays of Palawan Island. The understated yet luxurious Amanpulo resort occupies Pamalican Island in the Cuyo group. It offers a superb stretch of beach and water. And El Nido Hotels & Resorts runs two spectacularly-sited properties off northwest Palawan Island and Apulit Island Resort farther south. Miniloc is a Robinson Crusoe escape with rustic villas on stilts backed by soaring limestone crags looking over a sandy coral cove and startlingly blue waters. Not far away is Lagen with a similar, but more concrete, construction and the luxury of a swimming pool. We’ll roll out our Palawan guide by region, starting at the top. Coron is a delightfully rustic Palawan resort area. Absolutely nothing happens here save for regular “brown-outs”, or power cuts. Here, every day is “Earth Day”. Bring along a good torch. For city-slickers, this is the next best thing to camping out. Two resorts are a standout. Sangat Island Dive Resort is about an hour by a small banca from Coron town pier. It will arrange pick-ups. 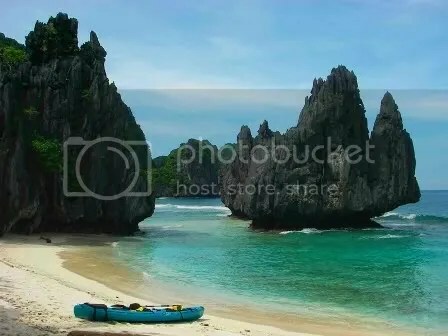 The setting — below massive limestone cliffs amidst lush coastal forest — is spectacular, and the beach is probably some 300m long. Local wood cottages with thatched roofing are the norm. Sangat is a simple eco resort offering rustic cottages and even a secluded villa with 220V power (from the resort generator) and a rock pool. The villa is intended for honeymooners and families. At Sangat, expect Western-style tiled toilets with showers. Ornithologists take note — the island is a bird reserve with a colourful community of kingfishers, swifts, swallows, sandpipers and parrots. If not bird watching, head to the sand. The beach is good for swimming although it can get choppy. Kayaking and island-exploring are activities that attract those who are not entirely focused on diving. The diving fixation is understandable. Sangat Island Resort offers a perfect base for exploring several Japanese wrecks in the area. For Palawan dive resorts read on. Dive Link Island Resort is about ten minutes from Coron town by banca or “pump boat” as locals sometimes call it. Correspondent Bruce Curran reports it is on a rocky coastal strip and, alas, possesses no beach. A freshwater swimming pool provides a modest substitute with a raised terrace halfway up the fringing hills that makes a good viewing platform. “The modern cottages are a little cramped but adequate and simple, rustic furniture is liberally employed.” The place is run by Noel and Cristina Matta, two Filipinos who have had an enduring interest in the area for many years. Try a three-day, two-night package or the weekend dive package. It works out cheaper, at around P10,500 per person including the jeepney ride from Busuanga Airport, banca transfer, two nights’ accommodation, full board, island-hopping and resort sports activities like kayaking and fishing. There is a bar and restaurant area, though the music can get a tad loud if you’re looking for a contemplative moment. A wellness spa offers Thai, Swedish and Shiatsu massage, and there’s WiFi access. Bungalows start at around US$100. Expect air-conditioning (fan-cooled rooms are available), and hot showers. About two hours away from Dive Link, en route by banca to El Nido, is its sister Palawan eco resort, Coral Bay Resort, with a handful of fan-cooled cottages (with balconies), a dining pavilion and a number of well-placed hammocks. Adds Bruce Curran, “It is an impressive sight from the sea, lying as it does in a protected island within a mini-archipelago.” The resort likes things low key and small. As it says, here you “listen to ocean music and monkeys yelling”. Activities include bird-watching (there are over 60 species on the island), enjoying primate antics, photographing anteaters, diving, spotting sharks, dugongs (sea cows), dolphins, and dragging your screaming mother-in-law on a terminal hike to the lair of a king cobra or giant lizard. There is decent snorkelling within the reef and wreck dives in the vicinity to marvel at sunken coral-clad Japanese ships like the forlorn Olympia Maru, Nanshin Maru and Kyokuzan Maru. On the north coast of Busuanga is a retreat regarded among the best Palawan resorts. Club Paradise more than lives up to its name, with an arsenal of sport and leisure options. Beachside and hillside cottages are of high standard, and with air-conditioning. This self-contained island offers nature lovers a 20-minute walk to Eagle’s Lookout, and a wildlife information centre. 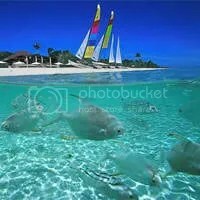 There are two good swimming beaches and a house reef for snorkelling or diving. Wreck dives are nearby. The ambience at the resort is relaxed, and prices cover full board. Club Paradise is the sole occupant of Dimakya Island, and a walk around the place will offer a host of unexpected encounters — local Calamian deer, monitor lizards awkwardly scuttling about, bright yellow orioles flitting between the trees, and giant fruit bats. Special two-night all inclusive packages are available for local residents. The published rate on a Deluxe Beachfront twin-share is around US$230 per person. Expect a clubhouse, restaurant, conference room for a small meeting, a sari-sari boutique shop, tennis, volleyball, billiards, satellite TV, reflexology centre, and the usual water diversions such as hobie-cats, canoes and glass-bottom boats. About 30 minutes by boat from Busuanga, its sister-hotel, El Rio Y Mar Resort (earlier the Maricaban Bay Marina Resort) is, writes Bruce Curran, “in a sheltered cove facing inland with a beach and freshwater pool. The waters are calm enough for some water sports, with wakeboarding among the more popular options. It’s a very pleasant place to unwind in with a nice location and air-con cottages. No Palawan guide would be complete without mention of the Philippines Serengeti. 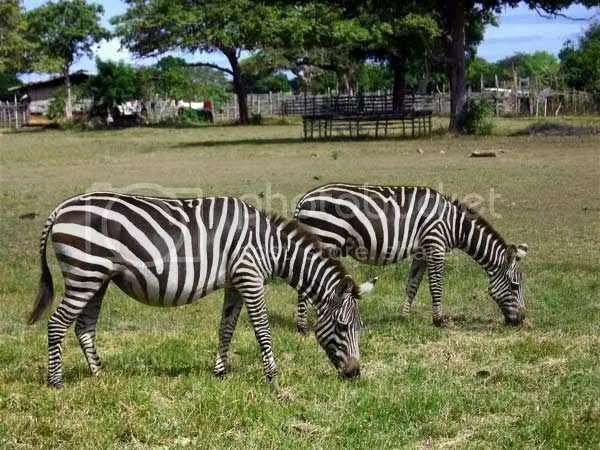 The Calauit Game Preserve and Wildlife Sanctuary (find out more on the Palawan Council website lies just over an hour’s boat ride from Club Paradise, and is home to an extraordinary mix of African wildlife. Eighty miles from Coron town, past Linapacan Strait, is El Nido, set on the emerald west coast of North Palawan Island. This is picture-postcard country of limestone karst outcroppings, rocky crags jutting proudly from the sea blanketed by primeval rainforest, birdsong, and quick-snapping Japanese. If you don’t own a 20 megapixel camera with a rocket-launcher-size lens to shoot a frog’s tonsil at 200 yards, don’t bother to come. The Ten Knots group runs El Nido Hotels & Resorts – three splendid hideaways, two of them 15 minutes apart, on facing islands, and the third, an hour’s flight south at Apulit. These are Palawan eco resorts that are just that. Resort life dovetails fairly seamlessly – and painlessly – with Mother Nature and great care is taken not to upset the balance. No picking up shells, unless they’re unexploded shells. Well, not really. Feel free to leave your footprints in pristine sand and stick a toe into endless azure. The staff works hard to keep things spotless and a staggering 1,000kg of non-biodegradable junk is collected each year, not including mother-in-law flotsam. Guests are encouraged to do the same and limit their own litter. In-room there’s an informative chart detailing local marine life and fauna with pictures. Tick off your sightings along with time and location to help keep track of the area’s unique underwater and overwater diversity. Lagen Island Resort covers four hectares and has 51 rooms in a variety of styles, from its 18 Water Cottages, 20 Forest Rooms and four Forest Suites, to nine west-facing Beachfront Cottages that get the full cinemascope blast of the sunset. The spacious air-conditioned rooms at Lagen are comparatively upscale by Palawan standards, if not in the Amanpulo bracket, and guests will enjoy a comfortable residential feel. There is no blaring TV in-room or safe (your stuff will be fine). There’s hot and cold water, shower, a balcony for people-watching, hair-drier, and a large bed. WiFi can be accessed from the clubhouse at P300 per hour though you can log on to the Internet free at a computer terminal at the library. Annoyingly, your mobile phone WILL work and, yes, your wife and boss will track you down with that pneumatic blonde. We know she’s the finance expert from Credit Lyonnais but… “Dagnabbit, a monkey just hoicked my phone.” Ah, finally, peace. Lagen’s attractive swimming pool fronts a small curving strip of beach leading into a shallow coral-and-pebble bay behind the breakwater. Tasty alfresco dinners are staged around here with wandering minstrels singing everything from Harry Belafonte to Happy Birthday. At other times things are quieter, just waves and the rustle of leaves, enlivened by a shrill commotion whenever a praying mantis lands on someone’s wine or, more rarely, a sleepy snake slithers out to gawp at the tourists. The accommodation fringes the forest that rises abruptly up the cliffs. The other side of the island is bird nest country (think expensive soup) and scaffolds are visible as you boat around. For a romantic Palawan resort or a Palawan family resort, this is a good bet as is its sister property, the more rustic Miniloc Island Resort, a supremely laid-back affair with 43 rooms including seven Water Cottages and five Seaview Rooms on stilts. The thatch-roof cottages have an indigenous Filipino feel employing local materials and motifs. While not as spacious or solid as the Lagen digs, all rooms are air-conditioned with a mini-bar on tap, and powder white sand underfoot along a small arcing beach – unless you happen to be over water. Stunning, sheer, limestone cliffs provide a breathtaking backdrop. If your camera battery has died by the time you get here you’ll kick yourself. Brace your legs on the prow of your banca and start clicking as you approach the stunning blue bay. The best light is in the morning as the rising sun ferrets out every stunning detail. The Miniloc idyll is popular with Europeans while Asians tend to enjoy the creature comforts of Lagen. Here, as on Lagen, enjoy vast meals and breezy cocktails. A conference room here can accommodate up to 40 persons. Mark this down as a fun Philippines child-friendly resort. A fourth El Nido resort arrives third quarter of 2012. The Pangulasian Island in El Nido’s Bacuit Bay will be El Nido’s most luxurious property, with towering canopy villas perched on 80m stilts and clusters of luxury villas with private lap pools. The Pangulasian is positioned to compete with Amapulo among the top tier Palawan luxury resorts. A special Manila roundtrip airfare for El Nido guests is available with Island Transvoyager Inc at around P13,500 for adults and P10,000 for children. Much of the surrounding area is protected and El Nido does its bit with a “conservation fee” of P20 per night for all guests over 12. 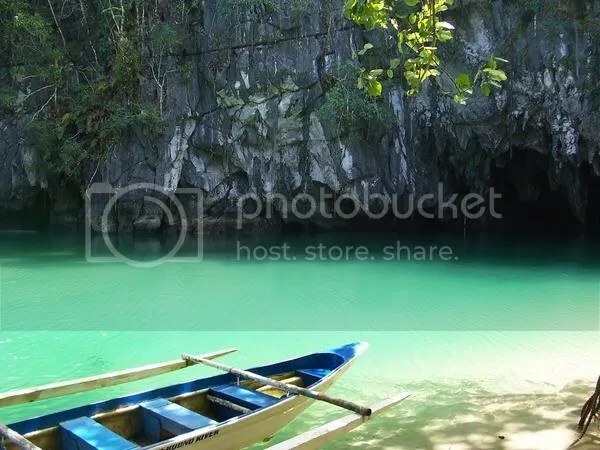 The El Nido Marine Reserve offers stunning scenery, clear waters and a wonderfully secluded location. As if this distracting smorgasbord were not enough there are 45 islands in the vicinity to explore. Kayak through hidden lagoons (Miniloc has its own Big Lagoon and Small Lagoon), swim, dive, snorkel, enjoy bird-watching, explore mangroves, picnic on the powder-white beach of Pangalusian Island or dine on a private sandbank behind Lagen. Those more seriously inclined and whose phones have not been commandeered by monkeys can explore the possibility of small meetings and corporate get-togethers at either of these resorts and set up on pontoon rafts in the centre of a coral bay. And, for tired limbs, both Lagen and Miniloc offer a variety of spa services from Shiatsu and Swedish to aromatherapy. Across the bay around Corong Corong lies correspondent Bruce Curran’s favourite getaway – Dolarog Beach Resort which is so laid back it doesn’t even man a telephone, though you can reach reception on Skype (Internet telephone) at “dolorog”. Once you have savoured this Robinson Crusoe hideaway “you may not bother with any others”. Lush, grassy lawns spread out underfoot inviting you to stride barefoot to the alfresco restaurant and bar area, or swimming pool. Tasteful cottages with sliding doors and windows are on offer set within a sunset-facing palm grove. Garden Rooms start at around P3,000 (twin sharing) per person. There are no fans so lie back and pray for breeze. “The food is superb,” reports Bruce. Italian Edo Flisi is the maestro behind this chic back-to-nature resort and his Filipina partner manages the busy kitchen. The place is about a 90-minute walk from El Nido town, although a tricycle may be available along the dusty road. It now offers northern island tours too, taking in attractions such as Bacuit Bay and Sabang’s underground river. For those on the tightest of budgets looking for a cheap hotel in Palawan there are some beachfront choices in the El Nido town area. The town is a quaint rural coastal village with a few alleys, dive shops, seafront bars, and island-hopping operators along the beachfront. Those that don’t want to fly can embark on the 12 to 14 hour journey from Puerto Princesa by jeepney, the more-colourful-than-comfortable public transport mainstay. The El Nido Boutique & Art Café (tel:  916-628-6665 or  918-328-7487,www.elnidoboutiqueandartcafe.com) has a friendly pair of owners at the helm –Swiss and Thai. Swiss national Judith, is the epicentre of all activity. She knows a thing or two about the area and can organise boats, tours, flights and anything else for you while you munch on savouries from their little kitchen. A three-day two-night package is priced at around P3,800 (double) including breakfast, island hopping, snorkelling gear and airport transfer. For cheerful beer-in-hand bottom-feeders in search of the cheapest hotel deals the Rossanas Beach Cottages (tel:  920-847-7674) offer simple, rustic huts on the beach from about P1,000 (air-con P1,500). The Tandikan Beach Resort (tel:  920-318-4882) starts at around P600 with electric fans. Tandikan has seven rooms and is in El Nido town. Also in town, El Nido Sands Inn is cheaper at P350 for a fan-cooled room and there’s the reinvigorated eight-room Marina Garden Beach Resort (tel:  926-684-0691, P500 up for a Native Cottage or P1,500 up for a Country Villa) now under a “new and excited management team”. This is a family-run establishment – three generations of the Ordonez family. Several El Nido budget hotels and inns are listed by the El Nido Tourism Office(www.elnidotourism.com). Note that many of these numbers are for mobile phones and since reception can be patchy at best of times there’s no guarantee you’ll get through. Also bear in mind that several cheap hotels may not accept credit cards. 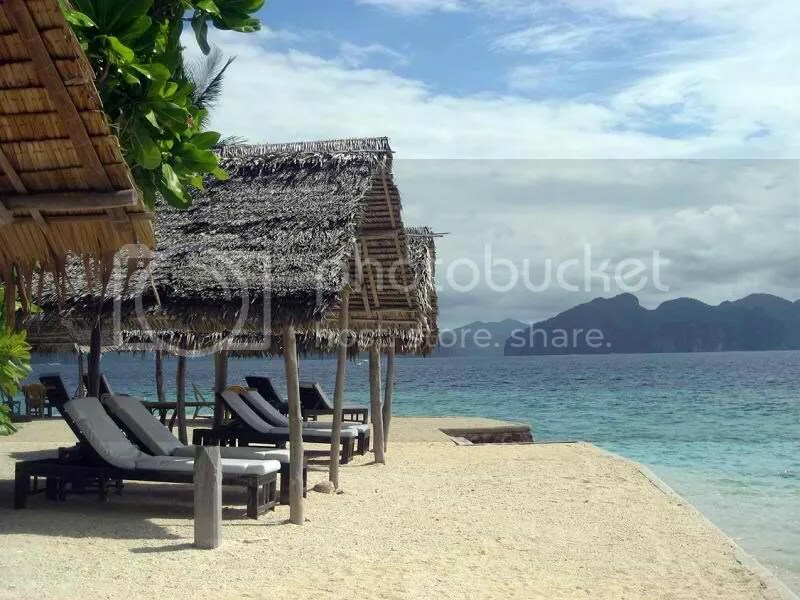 El Nido budget hotel choices continue with Gloria’s Beach Cottages (tel:  919-167-7870) where rooms go for P500-P600. The intriguing Og’s Lodging House (tel:  917-850-29948, P300-P800) is up some concrete stairs where Og and the missus will be found, with four fan-cooled rooms and one air-con room. These are clean and tidy and cozy indeed and the Ogs, despite their Ogre-ish name, are friendly to a fault. Diving, island-hopping, hiking, swimming and snorkelling are the main activities in the El Nido area. There are a few restaurants and eateries in town and even a disco – but they pull the plug on the electricity at 1am, usually in the middle of the best song. An hour’s flight south from El Nido and a short boat trip from the air strip is El Nido Hotels & Resorts’ 2010 acquisition, the Apulit Island Resort in Taytay, Palawan (at one time Noah). The resort is set on a beautiful self-contained island with beach stretches and shallows for snorkelling. A 17th century Spanish fortress sits brooding over Taytay, the original capital of Palawan. On Apulit Island look forward to kayaking, diving trips and mangrove tours. The more intrepid can spend an afternoon spelunking and exploring caves. Enjoy the marine sports centre or laze in the massage cabana. There are 50 over-water cottages in Filipino style with all modern comforts arrayed around the cove looking onto stunning blue seas. Guests can fly to the area (Taytay) directly from Manila too on a 19-seater Island Transvoyager Dornier aircraft. A swank jump-off with rustic back-to-nature overtones off the northeast coast of Palawan, is the Flower Island Resort, a 40-minute speedboat ride from Taytay (which is served by a small airport on the northwest shores of Palawan Island). This is a pearl farming area rich in variety. Room rates will be in the region of around US$95, for a single fan-cooled room and around US$140 for an aircon pad. Bancas can be individually chartered farther south in Port Barton for private trips to El Nido, and there are large seagoing bancas capable of making the passage from Busuanga to El Nido, again on private charter. Banca travel along the coast is by far the best way to see the beauty of this incredible coastline. Another romantic Palawan resort off Puerto Princesa in scenic Honda Bay is the Dos Palmas Island Resort & Spa, Palawan (tel [63-48] 434-3118, fax: [63-48] 434-3119, (e-mail: info@dospalmas.com.ph orwww.dospalmas.com.ph). Puerto Princesa is a one-hour flight from Manila. For P11,000 guests should expect airport and boat transfers (a 15-minute drive to Sta Lourdes Wharf and an hour’s boat ride) all inclusive meals and free run of the facilities. Guests planning on staying for two or more nights also score their choice of a massage or dive and a lunch on an outlying island. Dos Palmas is a well regarded Philippines family-friendly resort and also handles seminars and workshops for small company meetings. It is set in 20 generous hectares with a three-hectare mangrove forest at one end. Accommodation is in a variety of cottages, some in garden settings, and others on stilts above the water. Massage and treatments are available and divers can explore Helen’s Coral Garden nearby. Last but certainly not least, on a private resort island off the west coast of Mindoro, Pandan Island Resort(tel: [63-919] 305-7821, fax: [63-2] 525-1811, info@pandan.com or www.pandan.com, budget rooms from P600, bungalow from P1,200) is a laid-back option with good rates and a few family bungalows. It offers transfers from San Jose (Mindoro) and a few other areas by banca and jeepney for about US$200 per seven people, so the price will depend on the party size. There is also a sea plane option. Dives in the area include a beginner’s house reef up to 20m, a “Coral Garden” going down to 25m, a “Napoleon Wall” with ample sightings of Napoleon wrasse, tuna and trevally, and Apo Reef that hosts more coral species than the whole of the Caribbean. The resort is run by whimsical Frenchman Dominique, and his parrot. The other inhabitants of the island are birds and butterflies. Crusoe might have been more at home here. Rooms are open and airy, water is filtered seawater and lighting is powered by solar panelling. “But the beer is cold and the buffet dinner superb,” says Bruce. The pleasant beach setting faces the mainland of Mindoro and is thus protected from the open sea. Around 200km to the east of Palawan Island is the private sun-dappled hideaway of Pamalican in the Cuyo group of islands. Here a broad fringe of white sand, clear blue water teeming with marine life and healthy coral reefs await visitors. Pamalican Island is the home of Amanpulo, a five-star yet exquisitely understated Palawan luxury resort run by Amanresorts with 40 swish air-conditioned “casitas” set along the beach and into the hill. You might think you’re getting a slice of castaway island life, but Robinson Crusoe may disagree. Something to do with the king-size beds, window divans, sun-loungers, crimson bursts of bougainvillea, Cebu marble sunken baths and twin vanities perhaps? Or maybe it’s the Beach Club, the fabulous clubhouse restaurant with views of misty islands across the bobbing waves, the Lagoon Club, a 30m swimming pool, complimentary WiFi, or the muscle-unknotting aromatherapy. Guests also get to zip around in their own battery-operated buggies. All rooms have satellite flat-screen TV and DVD/CD players. And there are a few private villas for larger parties. If you start feeling a bit waterlogged, the hotel is stocked with dry-land entertainment options. Sample some wellness pampering at the Aman Spa. The resort also has a library with books, magazines, music and board games as well as two tennis courts. Guests arrive on privately chartered planes – it takes about an hour from Manila – after a brief stretch at the Amanpulo Lounge in Manila. A Treetop Casita here ranges from US$655-$880 but you can splash out on a US$4,000 up villa. Yes, send that wallet for an aromatherapy massage. It’ll need it. Amanpulo is easily among the best Palawan luxury resorts around. Let’s be honest: it’s the best Philippines resort, period. Below is our list of Palawan hotels and guesthouses, arranged by municipality or island. This is not an exhaustive list of Palawan resorts, just a guide to some of the better family resorts, child-friendly establishments, eco-friendly inns and budget hotels. Coral Bay Resort, Popototan Island. Tel: [63-919] 888-1910, (e-mail: info@coralbay.ph orwww.coralbay.com.ph). From P3,000, including airport transfers and meals. Club Paradise Palawan. Dimakya Island. Tel: [63-2] 838-4956, fax: 838-4462, (e-mail:clubpara@info.com.ph or reservations@clubparadisepalawan.com or www.clubparadisepalawan.com). Beachfront deluxe rooms US$230, including all taxes and service charge. Dive Link Resort, Uson Island. 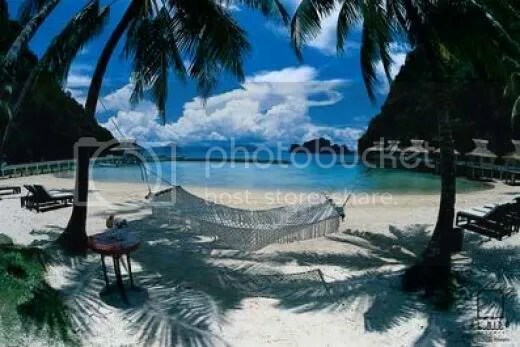 Tel: [63-2] 376-2048/ 387-2019, fax: 412-0644, (e-mail: info@divelink.com.phor www.divelink.com.ph) Bungalows from US$100. El Rio y Mar Island Resort Palawan, San Jose. Tel: [63-2] 838-4964, fax: 838-0595, (e-mail:rooms@elrioymar.com or www.elrioymar.com). From US$170. Sangat Island Resort, Coron Island. Tel: [63-92] 954-4328, (e-mail: info@sangat.com.ph orwww.sangat.com.ph). From US$105 per person per day, including all meals and Busuanga airport transfers. Amanpulo, Pamalican Island. Tel: [63-2] 759-4040, fax: 759-4044 (e-mail: amanpulo@amanresorts.com orwww.amanpulo.com). Tree top casitas from US$1,050, private villas from US$4,050 (for up to eight people) and return transfers by plane from Manila Airport cost US$350 per adult and US$250 for children aged two to 11, the price rises to US$450 for adults and US$275 for children 1 June, 2012. Dolarog Beach Resort. Skype Internet Telephone, VOIP, User Name: Dolarog, (e-mail: info@dolarog.com orwww.dolarog.com). From US$77 per person, cottages from US$111, including breakfasts, dinners and boat transfers. El Nido Boutique & Art Cafe. Tel:  916-628-6665 or  918-328-7487,www.elnidoboutiqueandartcafe.com). Packages start at around P5,600 for a double room, including breakfast, island hopping, snorkelling gear and airport transfer. El Nido Hotels & Resorts, Lagen Island. Tel: [63-2] 894-5644, fax: 810-3620, (e-mail:holiday@elnidoresorts.com or www.elnidoresorts.com). Rates from US$545 per night (twin sharing) Forest Room, and US$658 Water Cottage, including tours, transfers and activities. El Nido Hotels & Resorts, Miniloc Island. Tel: [63-2] 894-5644, fax: 810-3620, (e-mail:holiday@elnidoresorts.com or www.elnidoresorts.com). Packages from US$453 per night (twin sharing) Garden Cottage, and US$567 Water Cottage, including tours, transfers and activities. El Nido Sands Inn. Tel: [63-927] 617-7544. Fan-cooled rooms only, from P350 per room. Gloria’s Beach Cottages. Tel:  919-167-7870. Rooms from P500 to P600 per person. Lally & Abet Beach Resort. Tel:  917-850-2948, (e-mail: info@lallyandabet.com orwww.lallyandabet.com). Fan-cooled rooms from P2,000, air-conditioned rooms with breakfast from P2,450. Marina Garden Beach Resort. Tel:  926-684-0691, (e-mail: marinagarden.elnideo@gmail.com ormarinagardenelnido.multiply.com). Cottages from P730, Country Villas from P1,580. Og’s Lodging House. Tel:  917-850-29948. Rooms from P300-P800. Rossanas Beach Cottages. Tel:  920-847-7674. Hut on the beach from about P1,000, or P1,500 with air-con. Tandikan Beach Resort. Tel:  920-318-4882. Rooms from around P600 with electric fans. Pandan Island Resort. Tel: [63-919] 305-7821, fax: [63-2] 525-1811, (e-mail: info@pandan.com orwww.pandan.com). Standard rooms from US$34 for two people, while double standards are US$56 and can take four. Dos Palmas Island Resort & Spa. Tel [63-48] 434-3118, fax: [63-48] 434-3119, (e-mail:info@dospalmas.com.ph or www.dospalmas.com.ph). From P11,000 per person all inclusive. El Nido Hotels & Resorts, Apulit Island Resort. Tel: [63-2] 894-5644, fax: 810-3620, (e-mail:apulit@elnidoresorts.com or www.elnidoresorts.com). From P20,00 for a water cottage. Pretty very good post. I just stumbled upon your blog and wanted to say that I have extremely enjoyed reading your blog posts. Any way I’ll be subscribing for the feed and I hope you article once again soon. I seldom leave remarks, however i did a few searching and wound up here Palawan Complete Traveler Guide | The Adventures of AdventuRoj!. And I actually do have some questions for you if you tend not to mind. Is it only me or does it give the impression like a few of these comments appear like coming from brain dead visitors? 😛 And, if you are posting on additional online social sites, I’d like to follow everything new you have to post. Would you list of the complete urls of your public sites like your linkedin profile, Facebook page or twitter feed? Excellent web site. A lot of helpful information here. I’m sending it to a few buddies ans also sharing in delicious. And naturally, thanks for your effort! One other issue is that if you are in a circumstance where you will not have a cosigner then you may really want to try to wear out all of your educational funding options. You’ll find many funds and other scholarship grants that will offer you funds to help with college expenses. Thanks for the post. Congrats ~ Found your blog on Google while searching for a related topic, your site came up, it looks good, keep them coming ! Pingback: Palawan: An Unforgettable One | The Adventures of AdventuRoj! Thank you Julie! I’m more than glad to be of help. Enjoy your trip to Palawan! I pay a quick visit day-to-day some websites and information sites to read posts, however this weblog provides quality based content.